Embarking on one of the best zipline adventures the Big Island has to offer is a great way to see the natural beauty of this Hawaiian island. This thrilling outdoor adventure is one you and your family don’t want to miss. 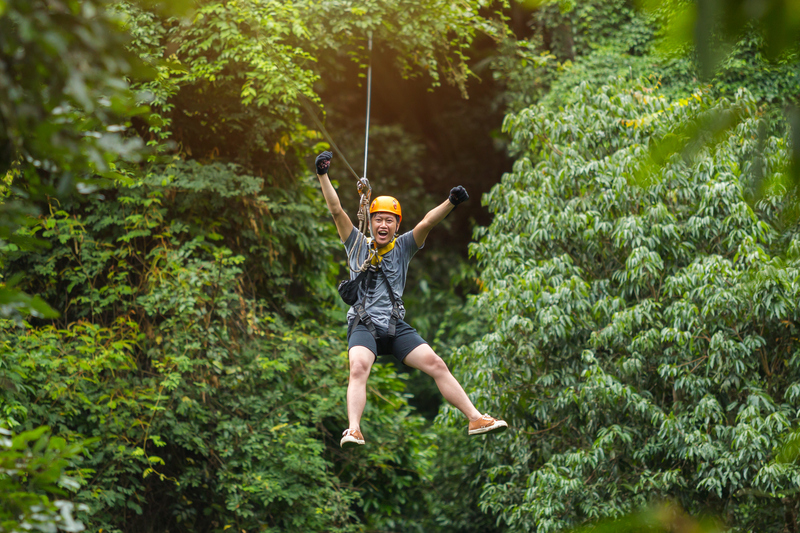 Get your adrenaline pumping while you fly through the tops of tropical forest canopies. Soar above towering waterfalls and rush through mountainous landscapes. While ziplining is quite an exciting activity, it is also a popular and safe attraction that many visitors indulge in while on vacation. Consider some of the best zipline adventures and tours to ensure your excursion is of the highest quality. For more adventures and attractions, take a look at our complimentary vacation guide! Zipline through banana trees, over rushing waterfalls, and across a breathtaking skyline when you book a tour with Skyline Eco Adventures. During your adventure, you may spot wild pigs, birds, and other wildlife. Learn about local foliage such as Taro plants, sugar cane, and other Hawaiian canoe plants. The course includes seven different lines that are named after various cultural Hawaiian anecdotes. For the grand finale, you’ll soar over a 450-foot ravine and zip over a 200-foot waterfall. There’s absolutely nothing like it! The Kohala Zipline experience allows for various opportunities to appease your inner thrill-seeker. Cross elevated suspension bridges, zip through sky-high treetops, and take a dip under a private waterfall. Take in the breathtaking natural beauty of the island and learn about various cultural aspects that from locals! Enjoy interpretive elements, meet expert guides, and more! You’ll learn to rappel and traverse sky stairs! It’s an experience you don’t want to miss. Local Tip: Wear closed-toe shoes! Pants, capris, or longer shorts are recommended for ziplining! Umauma Falls Zipline Tour features two miles of zipping and stunning views of the island. Fly through the air over 14 different waterfalls, cross suspension bridges, and admire unparalleled views of the ocean. At one point, you’ll cross over a river gorge, lava tube, and fern grotto. This tour is excellent for the entire family and allows children ages four and up! You can even opt for a Zip and Dip tour that not only takes you on the best zipline courses but it also allows you to swim and kayak in a private section of the Umauma Falls river. 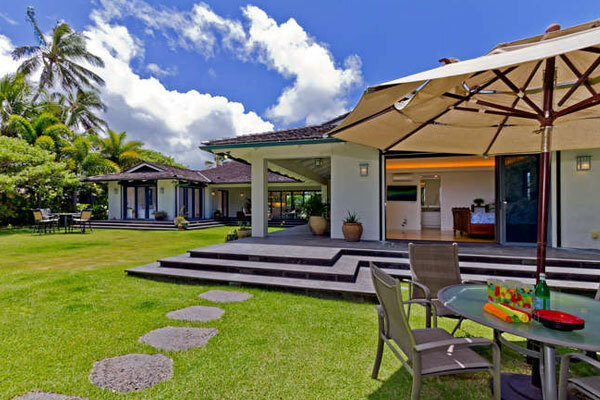 After an exciting day soaring along one of the best ziplines on the Big Island, return to your Private Homes Hawaii vacation rental! 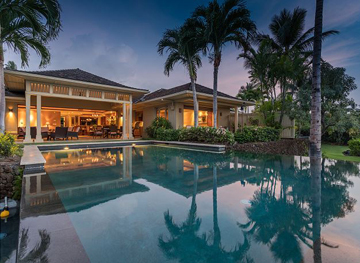 Our properties range from gorgeous homes situated on the best beaches of Hawaii to elegant houses near all the best things to do on the Big Island. Between countless outdoor activities and dining at some of the best restaurants on the Island, you’ll appreciate relaxing and catching your breath int the luxury of one of our stunning homes. 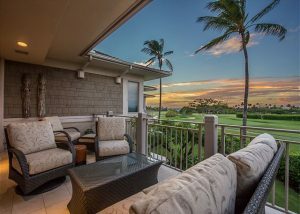 Hualalai Palm Villa allows for some of the most beautiful views of the ocean! What are you waiting for?